The University of Arizona College of Nursing has a robust history of community involvement, including its Community Cancer Connections program for cancer survivors and their caregivers and its association with the Mobile Health Program for rural and low-income urban areas. But one of its most enduring partnerships CHAP, which began in 2012 as a consulting agreement with the UA Health Plans (UAHP) for the Centers for Medicare and Medicaid Services (CMS). Currently, the project involves faculty nurse practitioners (NPs) who perform in-home Comprehensive Health Assessments needed by the UAHP for its dual-eligible Medicare/Medicaid members. For the UAHP members who take part in an assessment each year – two-thirds of whom are 65 and older – that means receiving a personal and compassionate assessment of their health from cutting-edge faculty NPs. This includes NP faculty who are trained in the use of integrative nursing modalities. The comprehensive assessments are evidence-based and examine members’ risks for falls, depression and anxiety, to name a few. The practical benefits for the College include assuring that NP faculty keep their skills sharp and obtain the practice hours needed to retain certification while allowing NP students to gain hands-on experience with comprehensive assessments. Additionally, the NPs are amassing data – including fall risks, cardiovascular/stroke history – that is useful for future research. “When we started in 2012, it was a small project,” says Audrey Russell-Kibble, DNP, FNP-C, FAANP, the project’s coordinator. “We might have accomplished a few hundred assessments the first year, but since then we regularly meet our goal of 1,000 per year. 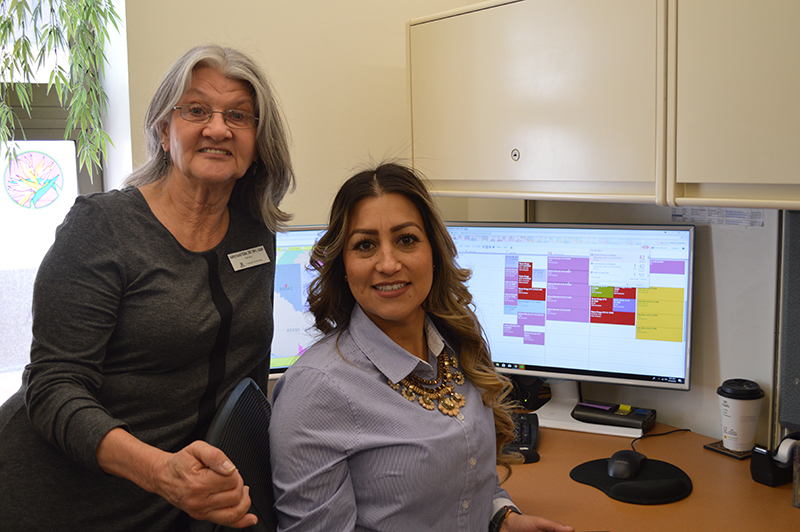 Currently, the project has nine NP faculty, including two adjunct NP faculty, and a scheduling support person and a student worker who are bilingual in English and Spanish.” The data collected from the visits is entered into an electronic form and coded for researchers. Data gathered from the assessments is used by CMS and UAHP to determine the need for urgent home health care assistance and to educate plan members on other services that are available, including eye exams, dental services, transportation to care and over the counter medications. But the human side of the equation is a big part of the project, too. A typical assessment in a doctor’s office might take 30 minutes, but the CHAP team schedules a full hour for an in-home visit. The extra time allows for a much more comprehensive visit than usual, but it also allows the NPs to establish a meaningful relationship with the member. It’s a win-win situation for plan members, faculty and student NPs. Members receive a top-notch comprehensive health assessment, faculty NPs are able to maintain their practice hours and students receive valuable one-on-one training in an in-home setting. Overall, everyone involved received a valuable benefit, whether it’s a learning experience for the member, the faculty NP or student.